Customers relax and drink their beverages at a Starbucks Coffee shop in Miami, Florida. Attention all Starbucks drinkers that are very particular about their beverage and hate waiting in long lines, this is for you. The uber-popular Seattle-based coffee chain has created a mobile app that will allow their customers to order and pay for their drink prior to arriving to the store. 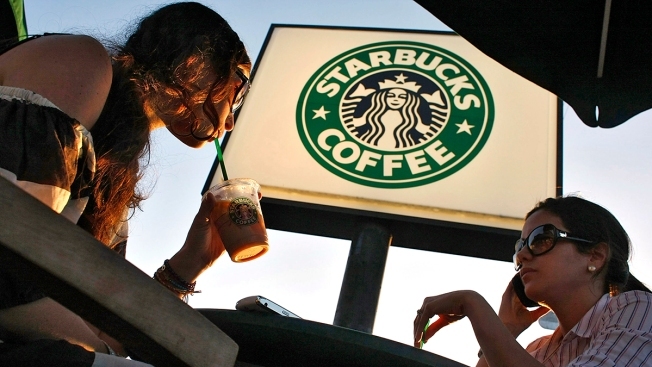 Re/code reports that Starbucks will allow customers in one undisclosed geographic test market to start placing pickup orders from the Starbucks app later this year, according to the company's Chief Digital Officer Adam Brotman. "We will do this and we will get it right," Brotman said. While decreasing wait time is always desirable, no one wants to arrive to cold cup of coffee, either. Will the time between submitting an order and actually picking it up cause problems? "We're trying to get things down to a science," Brotman explained, adding that they're focusing on getting the ordering part of the app down first, before focusing on payment options. "We want to get mobile ordering right first, but you could be hearing more about us in the mobile wallet or universal loyalty space sooner than later," he said. Regardless, there's no doubt that this app will be very beneficial for many, from the employee making coffee runs for all of their colleagues to the rushing parent needing a quick pick-me-up to the regular customer whose orders take longer to say than to actually make--one iced single grande caramel macchiato with sugar-free vanilla and extra caramel sauce, please! (that's actually a really good drink for those who have a sweet tooth).